The German automotive giant is betting its future cars based on the I.D. Buzz minivan concept, and aims to equip it with driver and passenger recognition and personalisation technology to be powered by Nvidia. Nvidia and Volkswagen have announced its partnership for future VW cars at CES 2018. Under this partnership, Volkswagen will be using Nvidia's latest Drive IX platform to bring advanced features to its all-electric, self-driving cars that are set to enter production from 2022. The companies took to the CES stage to announce this partnership, and explain how it works. Nvidia's latest Drive IX platform, which will power the I.D. Buzz working prototype minivan, runs on the company's Xavier processor, which the company claims is two years ahead of any other competitor. The Xavier processor facilitates three distinct functions of the Drive IX platform, which include Drive AV to control the car's self-driving functions, Drive IX to enable advanced user actions and interfaces, and Drive AR to promote Augmented Reality applications for cars. By incorporating this platform into the I.D. Buzz, Volkswagen states that its self-driving cars will be able to recognise the car owner and other trusted people as soon as they approach the car, unlock the car and even personalise car settings depending on who sits on the driver's seat. These functions will help tune features like seat setting, preferred ride settings, ambient lighting and sound, and other features of the car. The AR engine of the Nvidia Drive IX platform will help more proficient infotainment systems, and may even enable advanced interaction methods like gesture, eye tracking and others. Initially, Volkswagen is focusing on a feature called Intelligent Co-Pilot, which is an intelligent personal assistant of sorts. This assistant will, alongside the aforementioned actions, also be able to provide natural language processing for receiving voice commands to enable navigation, music and other features of the car. The Volkswagen I.D. 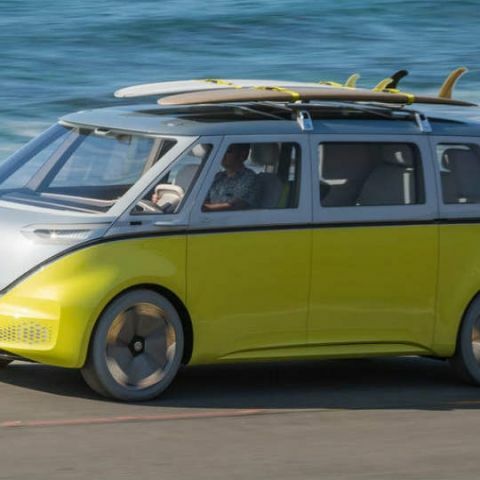 Buzz stands as the most practical prototype on which Volkswagen is basing its future cars on, including self-driving capabilities and all-electric drivetrains. All of these technologies will be enabled by Nvidia's platform, which is now also in use with multiple other self-driving efforts. What is the best available GPS navigator for cars?